Happy Monday!! 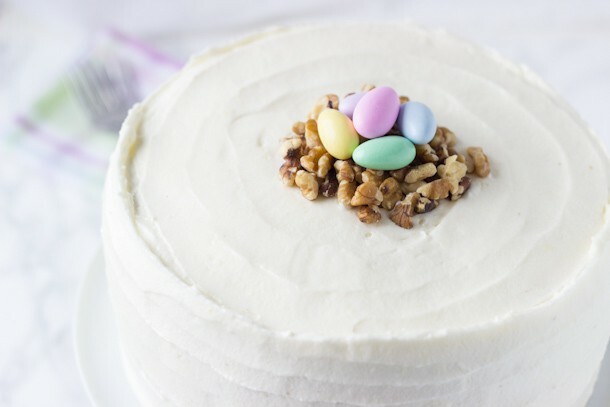 Easter is just around the corner and a classic carrot cake recipe is a must. I love carrot cake but it’s hard to find a recipe that hits just that spot. especially one that my entire family will enjoy too. These carrot cake cupcakes were my favorite for a long time until the rest of the family declared they are not fans of pineapples in their carrot cakes. What?? Seriously people? 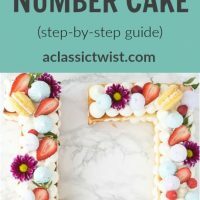 So I went on the hunt for another carrot cake recipe and I think I found one that we will all love. This classic carrot cake recipe is everything you want your slice of carrot cake to be. It’s moist…like seriously moist, filled with spices that warms the cockles (cinnamon, ginger, nutmeg, cloves, you know! 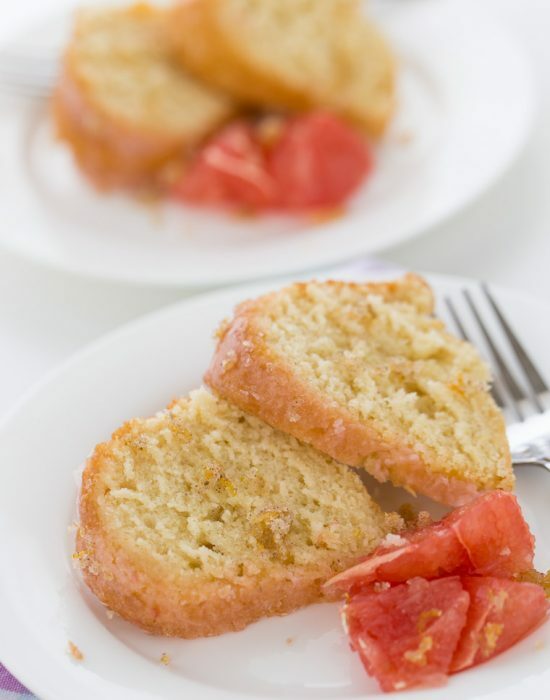 ), dense with carrots, walnuts and bursting with orange zest for a citrus flavor. It is seriously a cake to contend with. It gets even better when frosted with a ginger cream cheese frosting. The traditional cream cheese frosting is OK but when infused with freshly grated ginger, it is AMAZING. I just wanted to drink the frosting by itself. 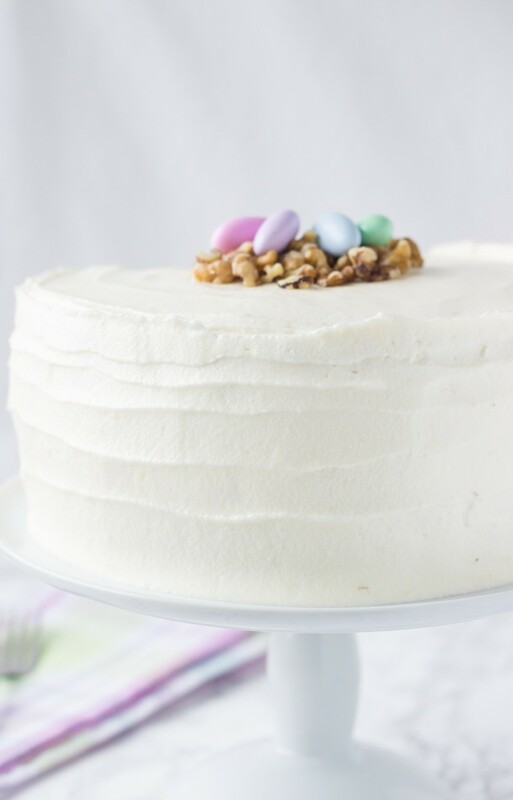 So my friends if you are looking for a solid carrot cake recipe, this is it for you! Whether you have one that you swear by, I urge you to try this and be prepared to love it like I did. Of course if you are like me and still like some pineapple chunks in your carrot cake (or raisins…to each their own), feel free to add them to this recipe. Make it your own and what your family will enjoy. After all, it’s all about the feeding the people you love! Preheat oven to 350 degrees F. Coat two 9-inch round cake pans with baking spray. Line the bottom of the pans with parchment paper and grease the parchment. In a medium bowl, whisk together the flour, baking powder, baking soda, cinnamon, ginger, allspice, nutmeg, and salt. In a large bowl, using an electric mixer, beat the sugars and vegetable oil on medium speed. Beat until smooth, about a minute. Increase speed to medium high and add eggs one at a time; beat until smooth about 2 minutes. Reduce speed to low; add in applesauce, zest of orange, and vanilla extract and beat until well combined and smooth. Add the flour mixture in two additions, mixing after each addition until just combined. Fold in the carrots and walnuts using a rubber spatula, making sure it is well mixed. Divide cake batter evenly into the two prepared pans. Bake cakes until a toothpick inserted into the center comes out clean, about 35 minutes. Let cool in pan for 10 minutes before turning out onto a cooling rack. Let cakes cool completely. To make frosting: In a large bowl whip the cream cheese, butter and grated ginger until smooth with a mixer on medium speed. Reduce speed to low and add powdered sugar, vanilla extract and 2 tablespoons milk. Mix until combined. Increase speed to medium-high speed and whip frosting for an additional 2 minutes. To assemble, place 1 cake layer onto a cake stand/platter and spread 1 cup frosting on top. Top with the second layer and cover the top and sides with the remaining frosting. Decorate with chopped walnuts if desired. I’m totally craving carrot cake now! It’s been so long. Love the sound of ginger cream frosting. Looks delectable! Girl, you are on a layer cake ROLL! 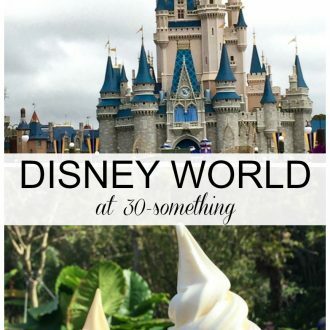 Carrot cake is my favorite and that ginger cream cheese frosting definitely has me swooning! 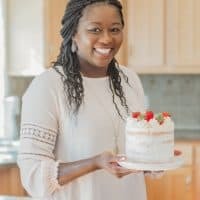 Loving all of your layer cakes recently! Ginger cream cheese frosting sounds amazing! This is one mean carrot cake. I feel my pants getting tighter just looking at it. It looks incredible, Zainab! 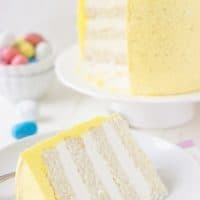 You are killing it with the layered cakes. Z! This one is another showstopper! So pretty and I love the ginger cream cheese frosting! You are so right. It is hard to find the best carrot cake but you may have succeeded. This is absolutely fantastic my dear. Z, I LOVE this cake!!!! 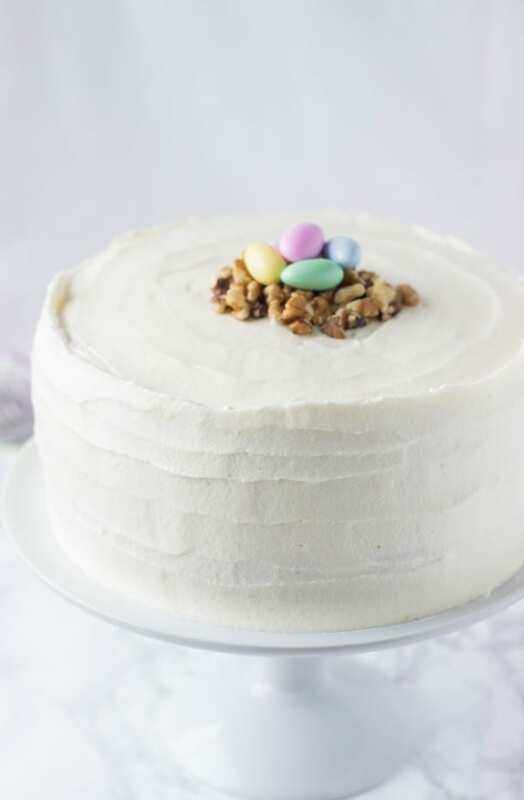 Carrot cake is one of my faves. . and it’s funny, I never associated carrot cake with Easter until I became a food blogger!!! but makes perfect sense! I LOVE how you frosted this cake, gorgeous!!!! you are seriously the cake queen these days!!! wow!!! Right? It’s like bloggers tell you when to eat things. 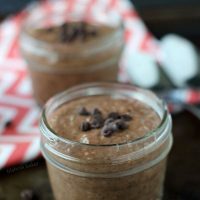 I always thought coconut was year round..in my world at least it is but it’s mostly a spring flavor in the blogger world! Love that you put ginger in the frosting! A kick of fresh ginger is one of my favorites. So pretty, too! What a perfect cake! I love this! It looks just divine! 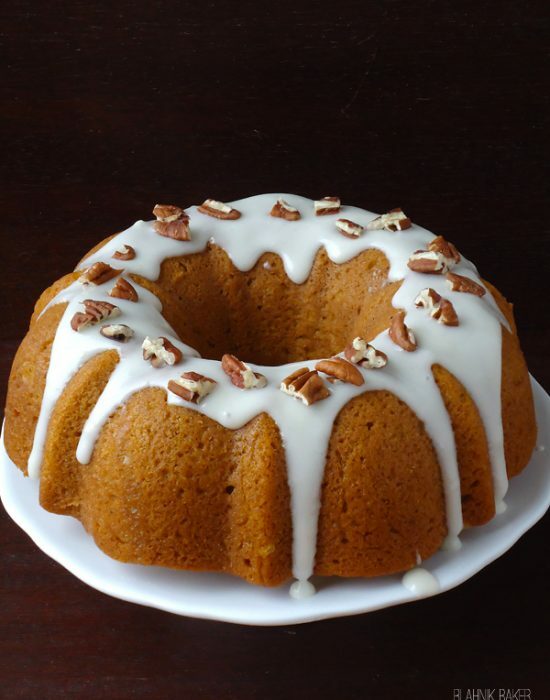 What a perfect carrot cake, love the frosting! i love the sound of a ginger cream cheese frosting! yum! i iced my husband’s bday cake with honey-ginger buttercream, and that was fab so i know yours must be too! Ooooo honey ginger sounds delicious!! 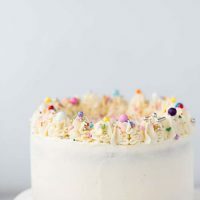 Another beautiful Easter cake! Simply stunning and I am sure that it tastes amazing! This carrot is just beautiful (as usual). Perfect for Easter! I love pineapple in my carrot cake, but this one looks just as good! So perfect for Easter! I’m seriously craving for a big slice of carrot cake now. And carrot cake + pineapple? Sounds like a fun idea, too! I loved the pineapple addition as it was a sweet one!! Zainab, your cake is amazing and these photos are gorgeous! 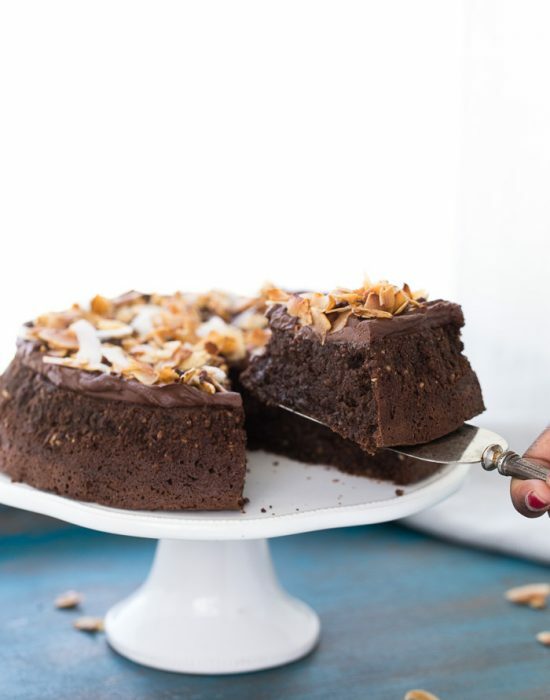 That frosting is perfect, the texture of your cake looks super moist ‘n delicious. I’m actually salivating just looking at your photos. I adore carrot cake but I’ve never made it. I have this weird misconception that it’s a ton of work. Now that I have a food processor to chop up my carrots, I don’t know what the heck is stopping me! Thanks Nancy!! It really isn’t. I didn’t even bother dirtying my food processor…just used a hand grater for the 2-3 carrots I needed. Classically wonderful. ALWAYS popular. I love the frosting choice. Nice touch. What an unbelievably perfect cake! 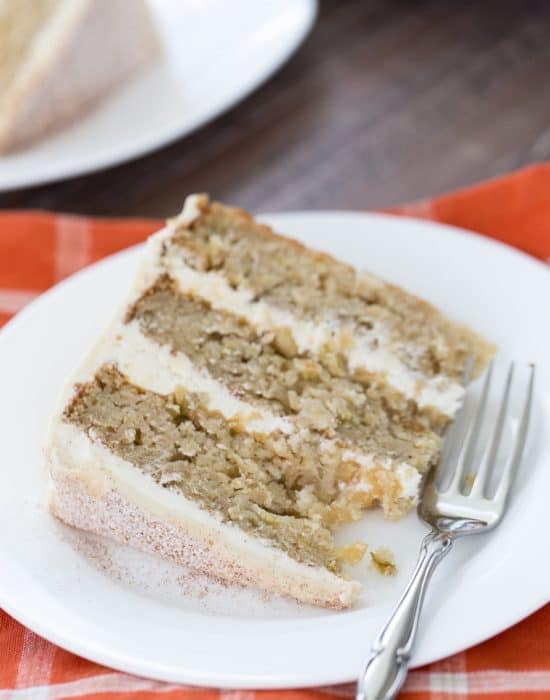 I love carrot cake…but what I’m really loving is the idea of ginger in the cream cheese frosting! Great idea!!! It’s a subtle spice addition! Lovely! This cake is so stunningly beautiful, Zainab, I can hardly believe it’s real! 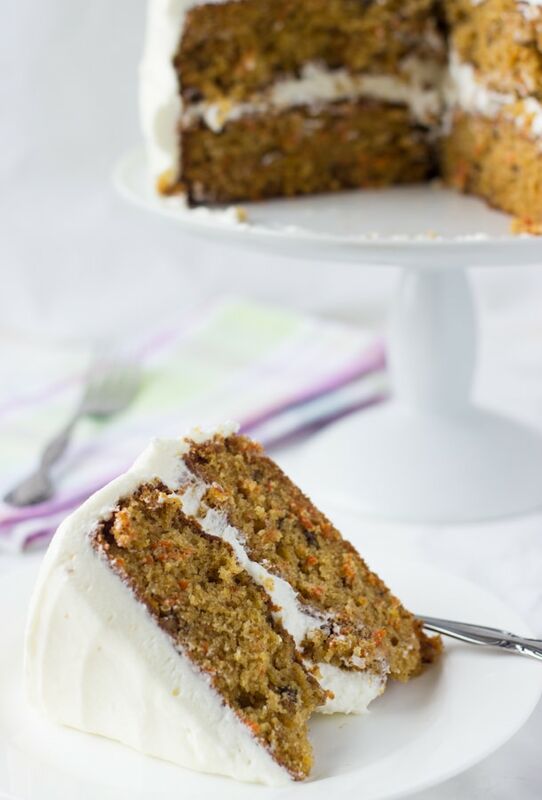 And the carrot cake insides are gorgeous as well – so fluffy and moist, just as cake should be! Pinning! Carrot cake is my favorite! Love that you added fresh ginger to the cream cheese frosting! Your cakes always look so pretty (not to mention delicious!) and this one is no exception! I love carrot cake! Especially for spring. And I love the little nest! 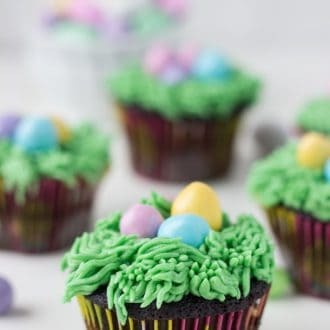 So perfect for an Easter dessert. This is such a gorgeous cake! 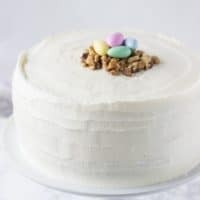 I love carrot cake and would love for this to make an appearance at my Easter dinner 😉 Adding a ginger frosting is brilliant! I can’t believe anyone could ever have a bad thing to say about carrot cake with pineapple in it, but I must admit this looks seriously amazing. I never thought of adding ginger to my cream cheese frosting- now you have me dying to try it! This cake is gorgeous! I love carrot cake, so I would be all over this! Beautiful! I love carrot cakes! Girl this is such a moist looking carrot cake! Looks so delicious. can this be my wedding cake! im saving it because im in love with the dainty beauty and classic flavors. you did a superb job!! This looks so good. It’s been ages since I’ve last had carrot cake and I need to fix that. Oh my gosh, that ginger cream cheese frosting is screaming my name. I beT it would taste awesome on everything! Oh, my! 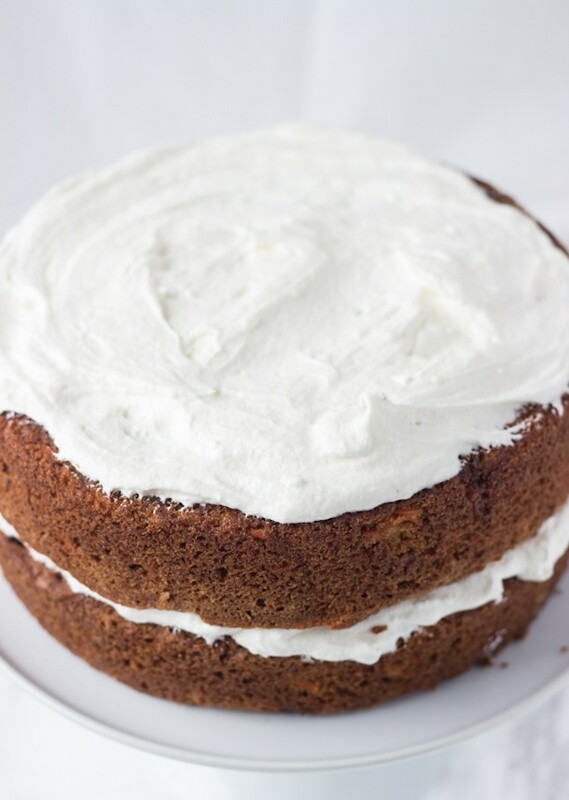 I’m loving your rendition of carrot cake with that ginger cream cheese frosting, Z! The pretty nest of eggs in the center is so sweet. I remember dying coconut green and doing the same around Easter time as a kid. Such fond early baking memories. 🙂 Thanks for sharing, my friend. Have a wonderful Friday and weekend! This looks like the perfect carrot cake recipe! I’m kind of liking the idea of pineapple in my cake! Hi Erin, I am so sorry about that. My new mobile layout is removing all the fractions from my recipe. Again I apologize for this inconvenience. Hope the cake turned out OK for you. 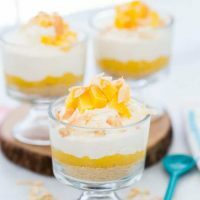 How much pineapple and raisins can I add to this recipe. Jackie, you can add up to 1/3 cup of cubed pineapples and about 1/4 cup of raisins. Add both by folding them into the batter at the very end before dividing into the baking pans. Hope that helps!